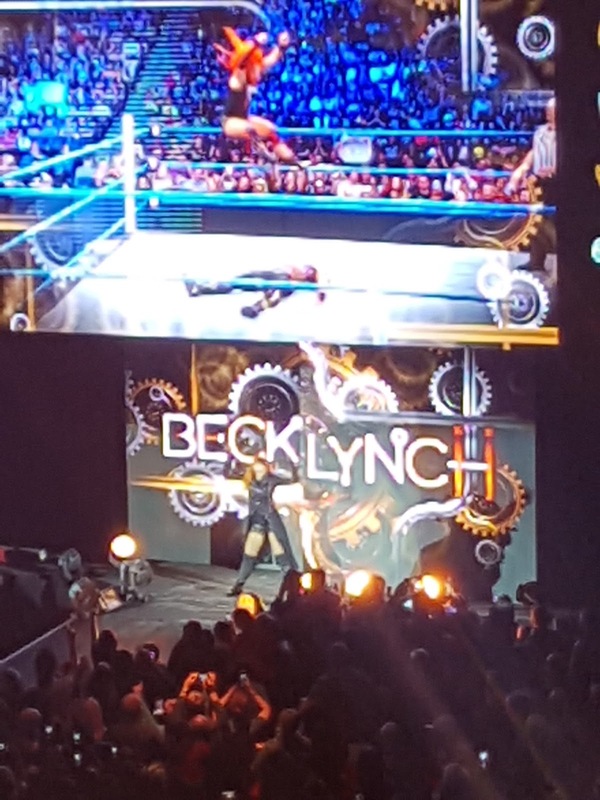 I finally got to see the WWE Live. I used to watch the wrestling all the time with my cousin whilst growing up and have got back into it this year. 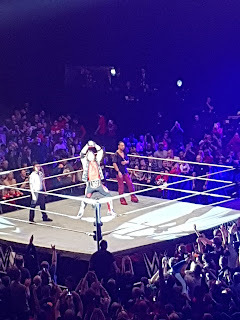 I have seen quite a few local events and when I saw that WWE was coming to Leeds, I just knew we had to get tickets. 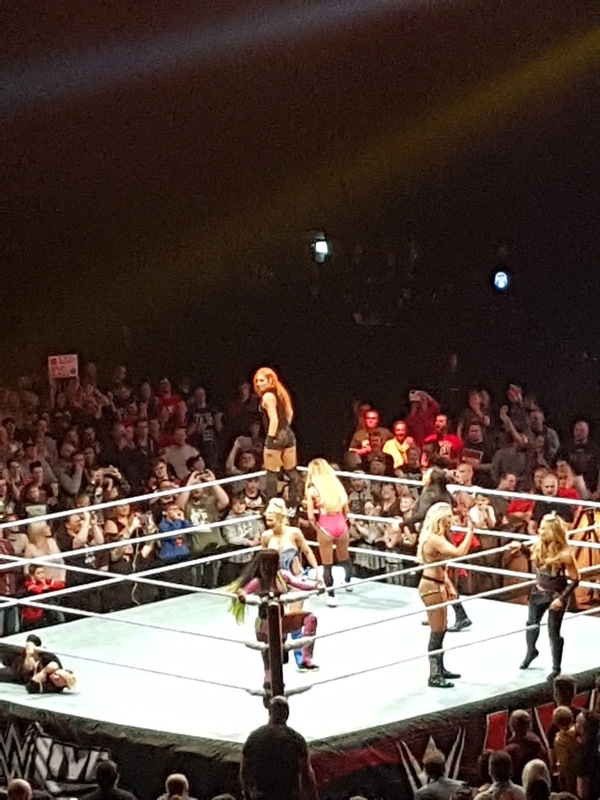 Most of my favourite wrestlers are on the Raw roster however Leeds got the Smackdown roster. Granted I was a little disappointed I wasn't going to see Finn, Dean or Seth but I have realised I like a lot more of the Smackdown roster than I thought. We arrived at the venue once the doors opened so we had plenty of time to get merchandise and get settled (they even threw in some top 10 countdowns), but the best part was when a woman who worked at the arena came up and asked if we wanted a seating upgrade. We chose to buy tickets on level 2 originally and the view was still great however when she said we could go sit in level 1 we gladly accepted. The view was fantastic we could see everything. 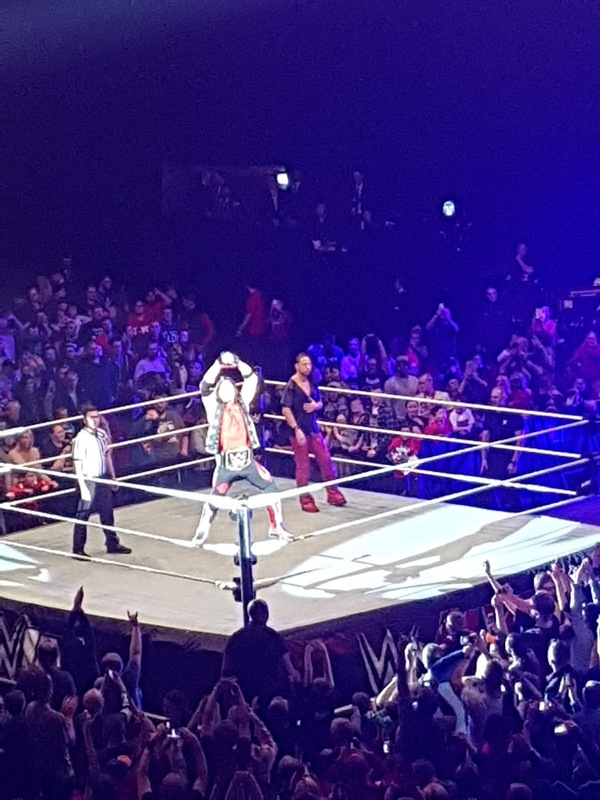 The show kicked off with Bobby Roode and Dolph Ziggler, they really got the crowd going and set up for a brilliant night. I now love Bobby Roode and can't get his entrance theme out of my head. 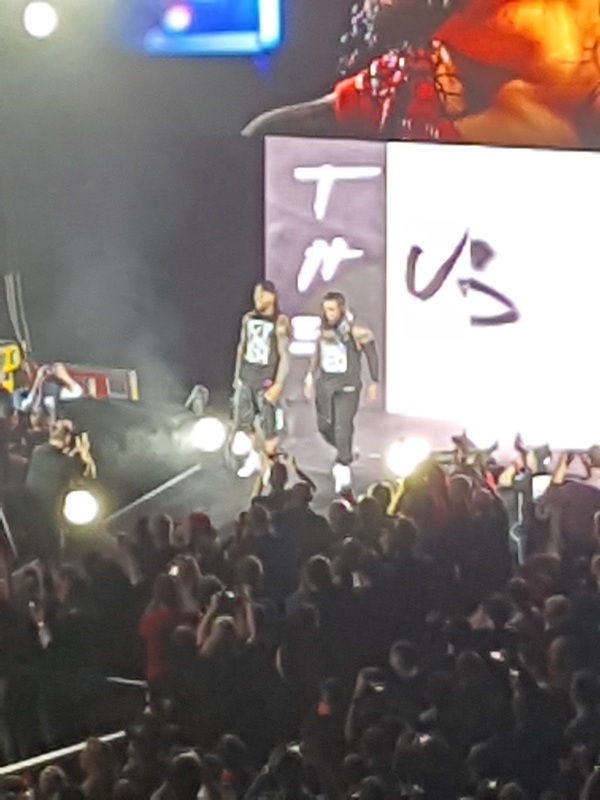 I would go as far as saying the Usos are my favourite tag team from both Smackdown and Raw. I was hoping to see them against the new day however seeing them against the likes of Breezango was also brilliant. Jimmy and Jay are brilliant wrestlers and to see them live was fantastic. 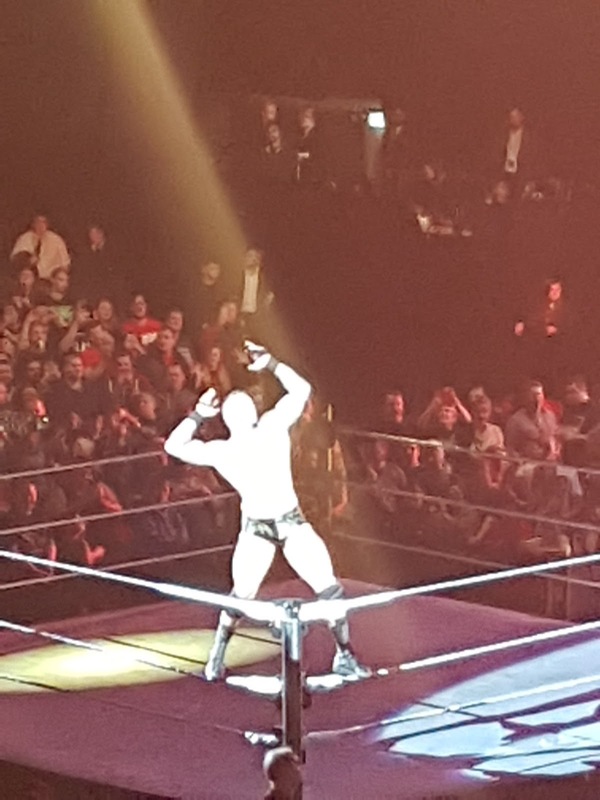 I didn't like Randy Orton before seeing him live (I heard his entrance music and thought oh no here we go). He never really appealed to me however he is a brilliant wrestler and that became apparent watching him. He came up against Rusev and the match was great, the crowd was brilliant in this too getting behind Randy chanting RKO. Granted Rusev is one of the wrestlers I really don't like however Randy really made the match worth paying attention to. Seeing him hit and DDT and RKO was great and I have to admit I am now beginning to like him and won't be skipping over his matches in the future when watching on the network. Now the women's Smackdown division is definitely my favourite, I love them all. I was worried I would only get to see a few of them wrestling live but was pleasantly surprised when they all came out for a 4 on 3 match. 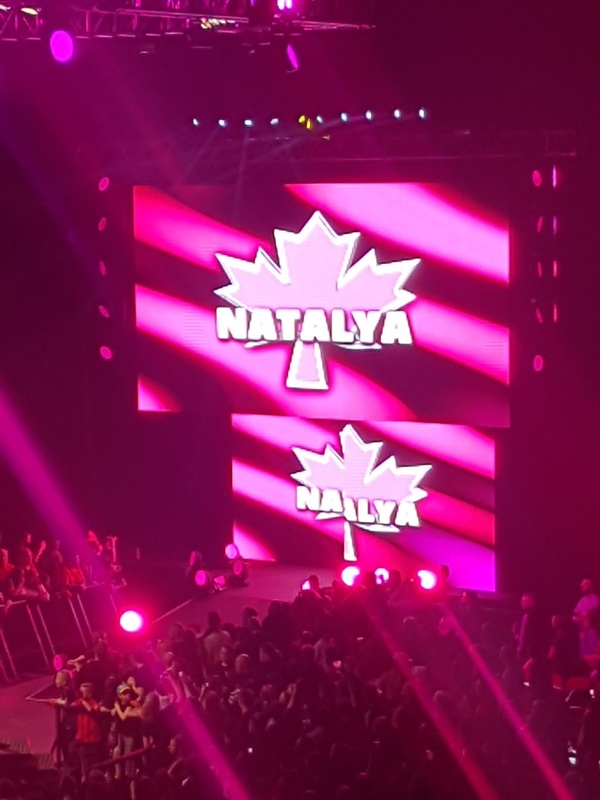 It was Naomi, Charlotte and Becky vs Lana, Natalya, Tamina and Carmella. It was a fantastic match. I absolutely love Becky Lynch she is fantastic, if I had to pick a favourite out of the Women it would definitely be her. As soon as her entrance hit the crowd were going crazy so when she won it was brilliant. 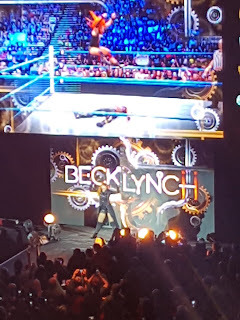 Not only did we get that match but we also got to see the whole of the women's division team up against James Ellesworth (seriously that guy irritates me just looking at him), so obviously it was fantastic when Becky Lynch hit him with a stone cold stunner. It just summed up a perfect match. My final favourite was the triple threat match for the title between new champion AJ Styles, Jinder Mahal and Shinsuke Nakamura. I hate Jinder so was so glad when he lost the title the previous night, Shinsuke was just like Randy I didn't like him until I saw him live but wow AJ Styles..... he really is the phenomenal one. He is a brilliant wrestler and really has the crowd behind him. They were in the match with the title on the line but I was so glad to see AJ keep hold of it. AJ is a deserving champion and I just really hope he keeps hold of it so he can face off against Brock Lesnar at survivor series. Obviously there were more matches on the card than this but these were my standout ones. I even spent an absolute fortune on merchandise (post coming up soon) and overall had a fantastic night. I am even looking for tickets to go see it again next year.